Business Tips from the Kingpin! In this series of flashbacks and voice-overs, Wilson Fisk gives readers a few important business tips. 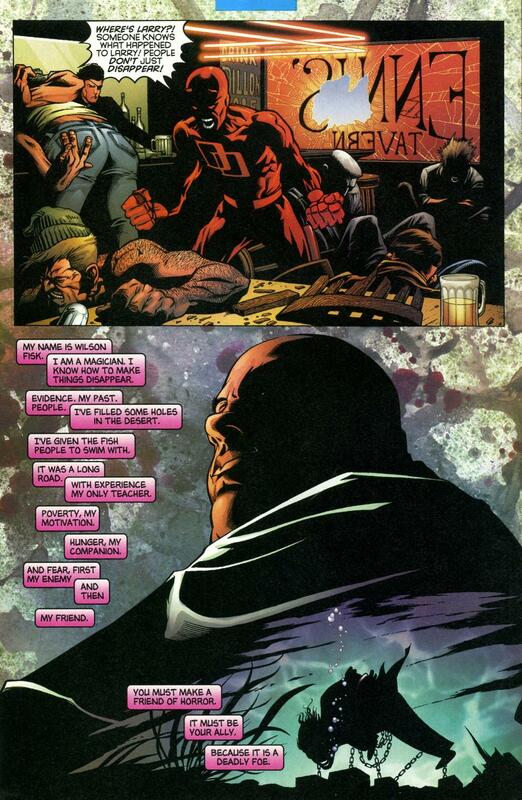 Fisk provides a useful rules he applied in his rise to becoming the Kingpin of Crime and a thorn in the side to costumed crusaders like Daredevil. Note the importance of visual aids in public speaking! – From Daredevil #13; Marvel, 1998. – Reprinted in Daredevil TPB #2, 2002. 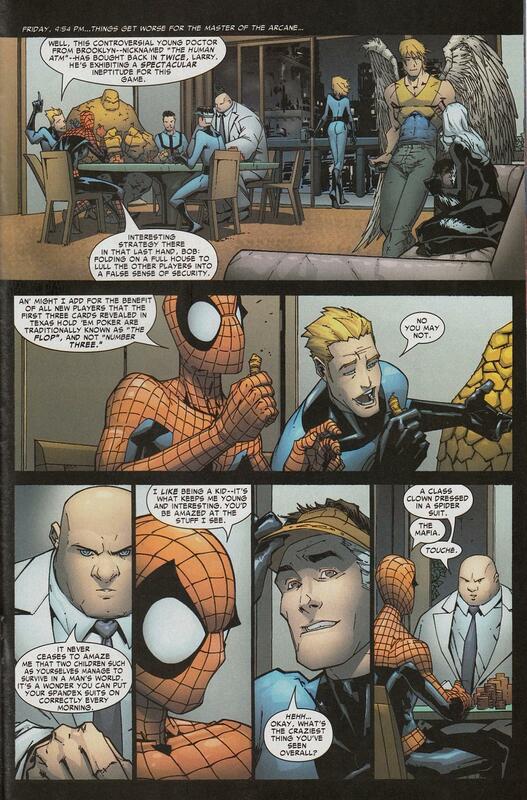 Art by Joe Quesada, Mark Morales, and Richard Isanove.